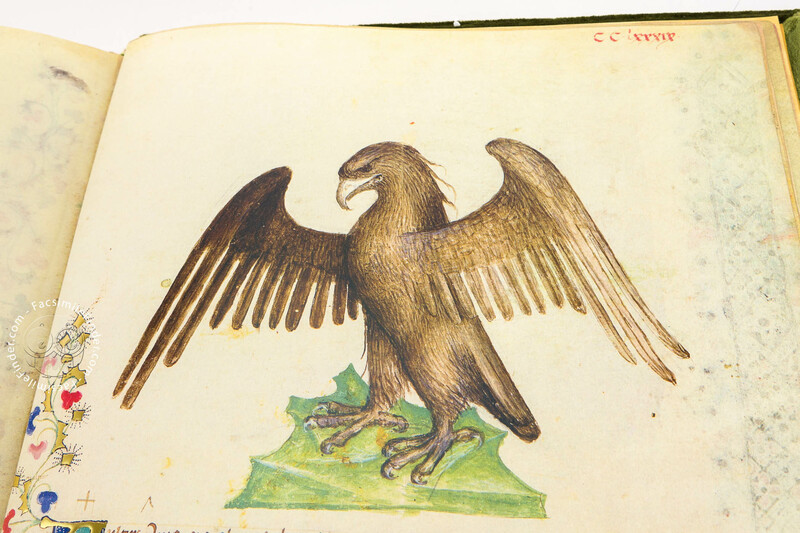 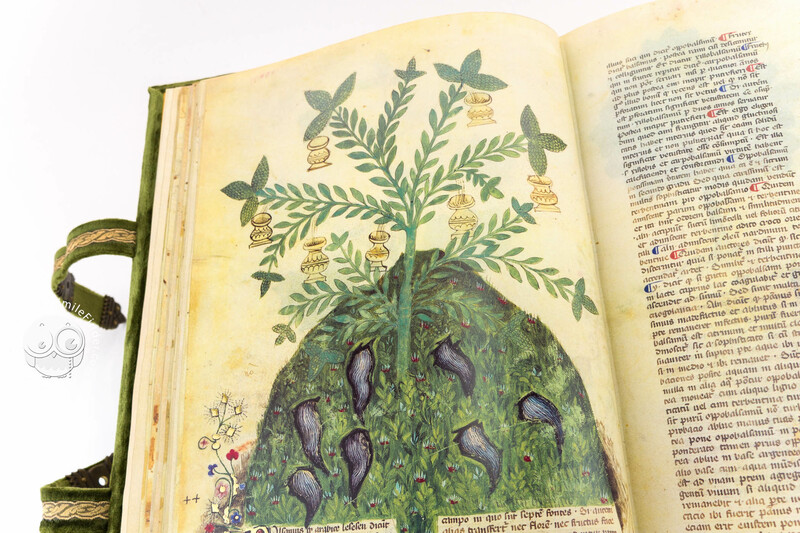 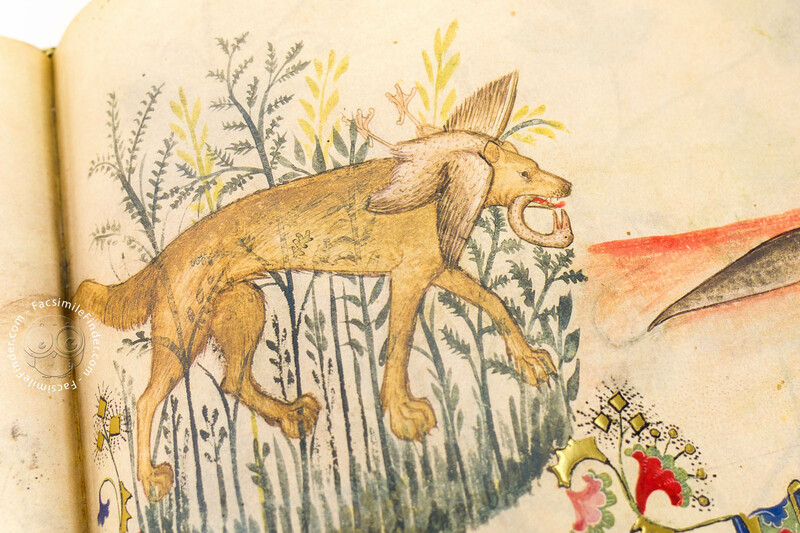 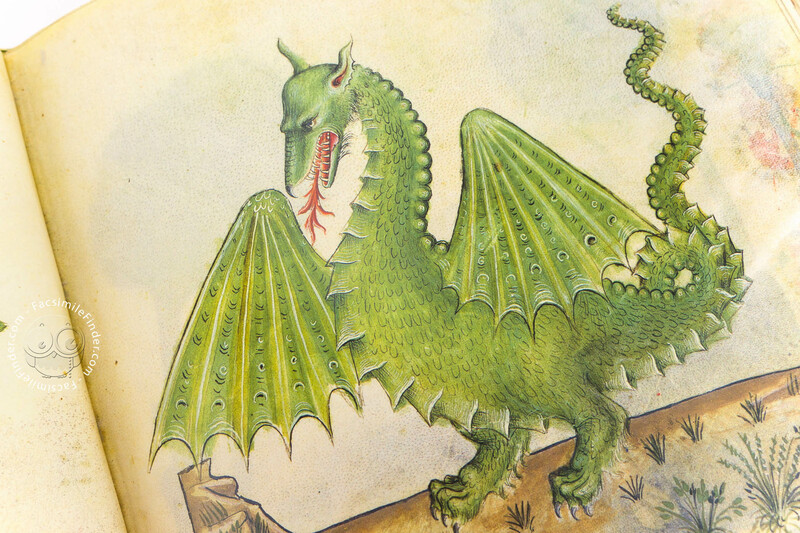 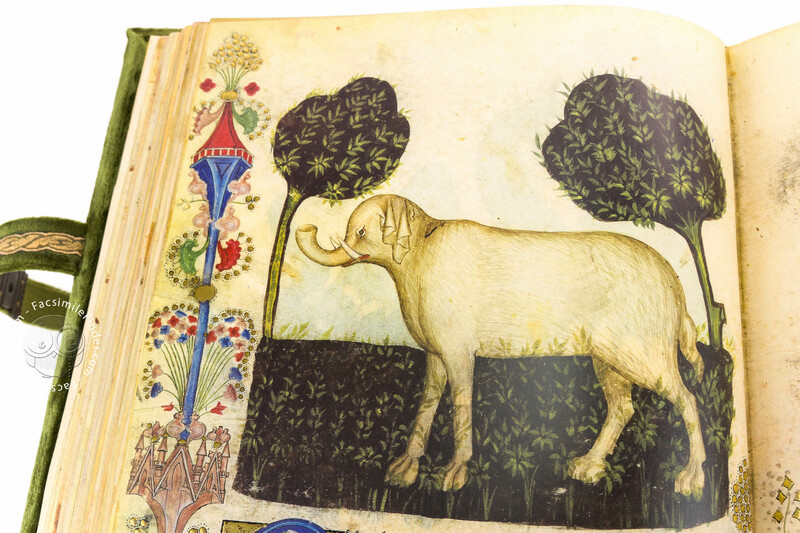 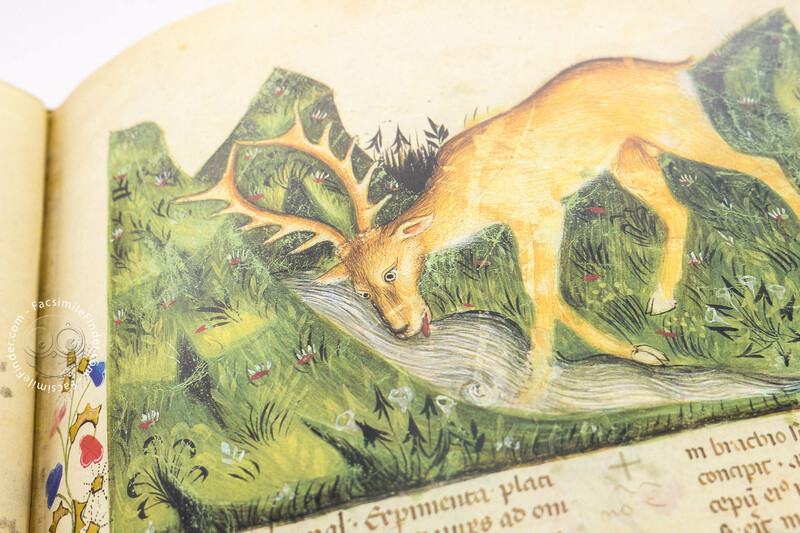 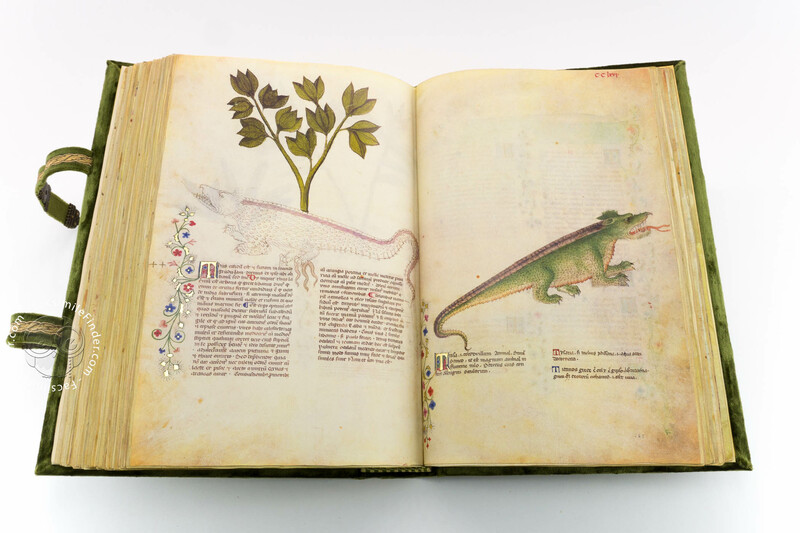 Of considerable charm and interest, this manuscript, known as the Tacuinum Sanitatis (housed in the Biblioteca Casanatense, Rome) is an encyclopaedia of natural history. 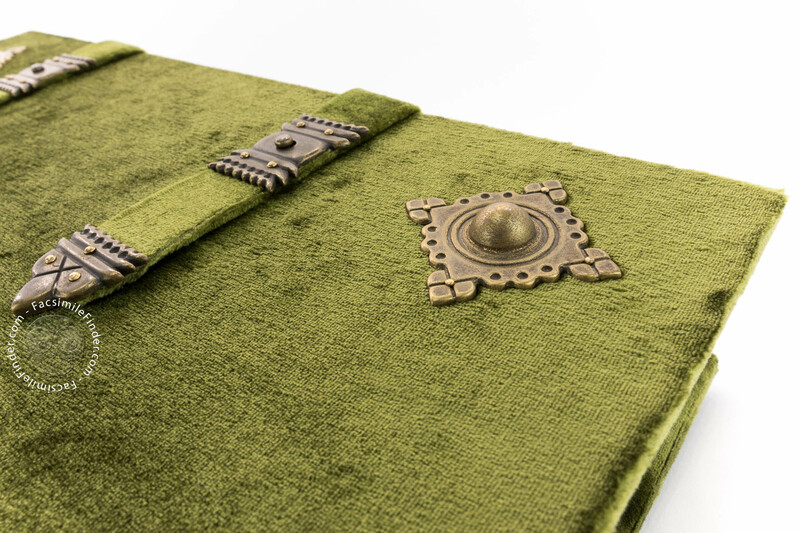 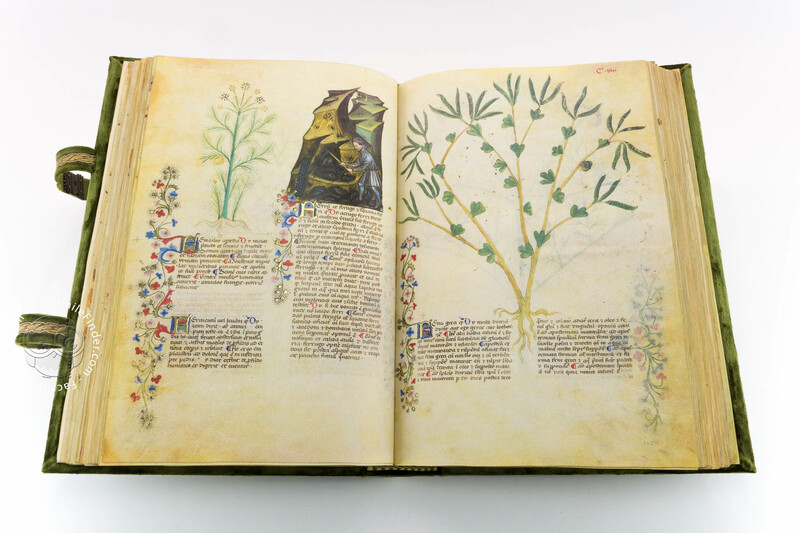 It includes descriptions of plants, minerals and animals, with particular reference to their medicinal and therapeutic properties. 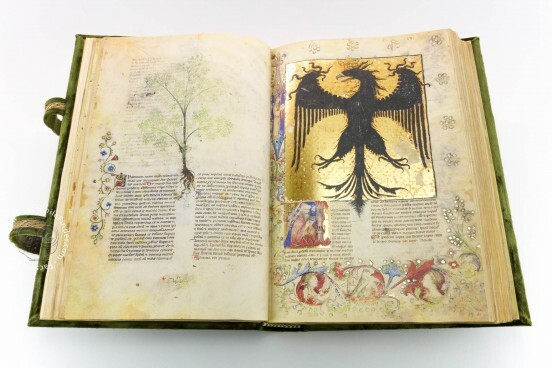 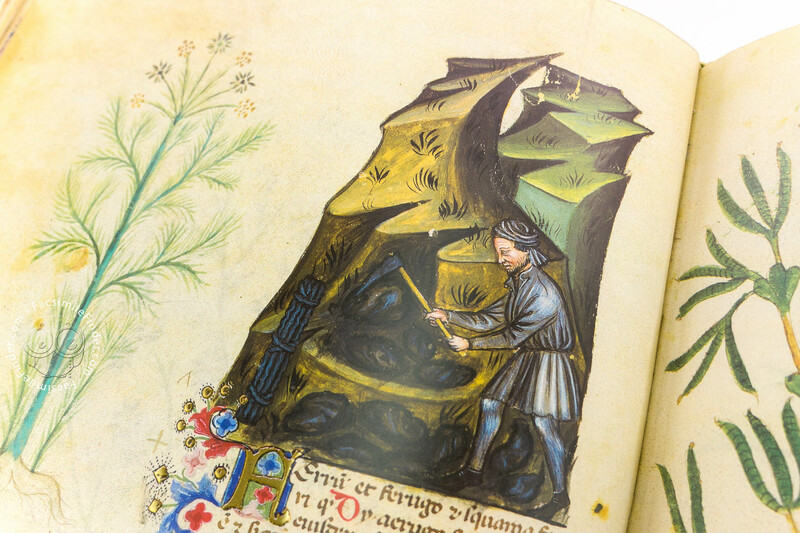 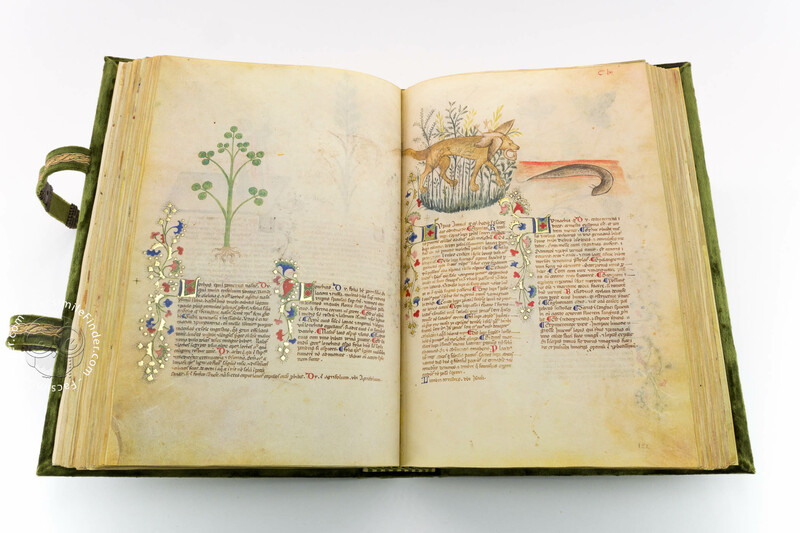 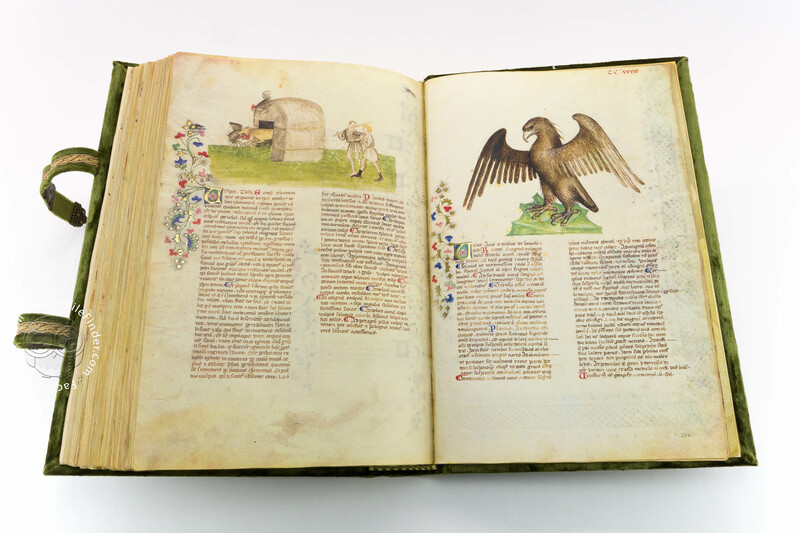 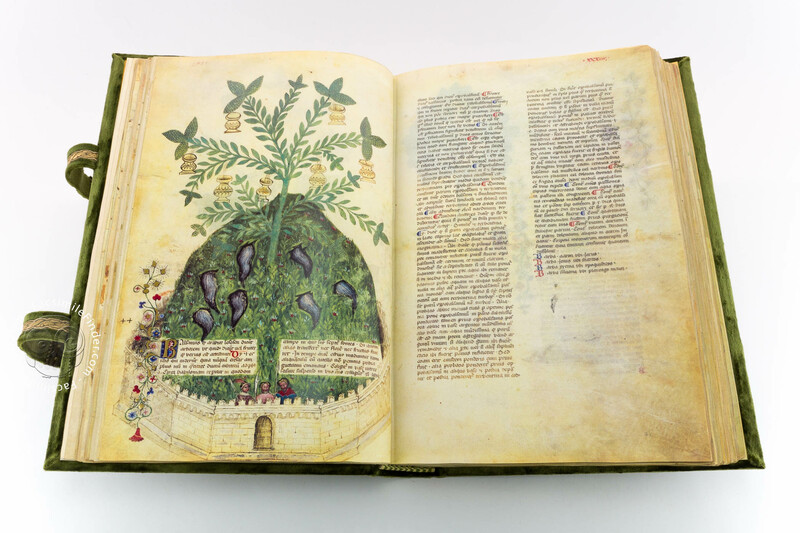 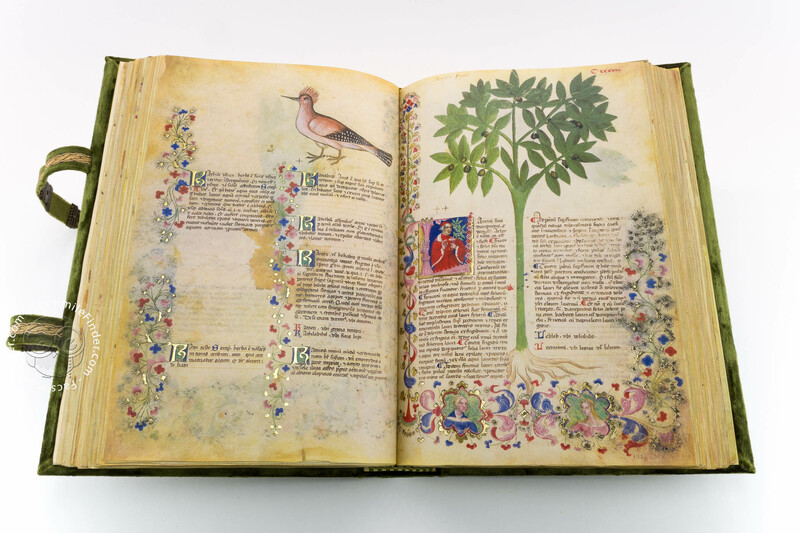 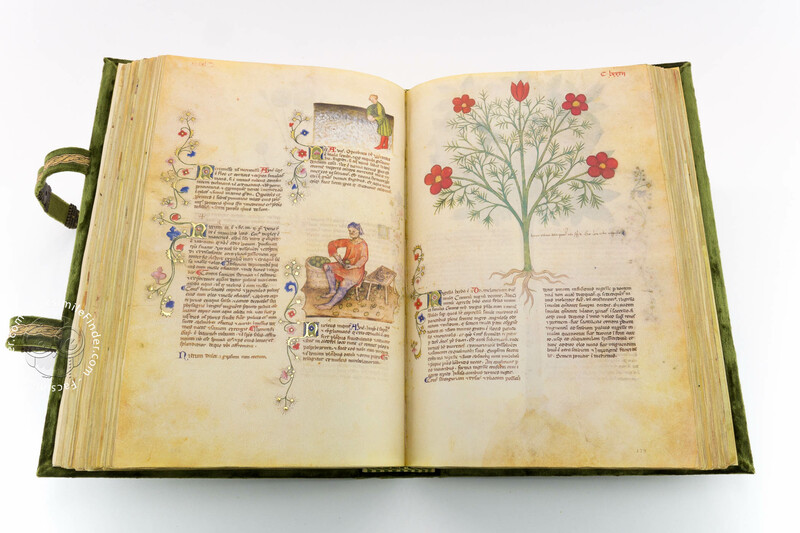 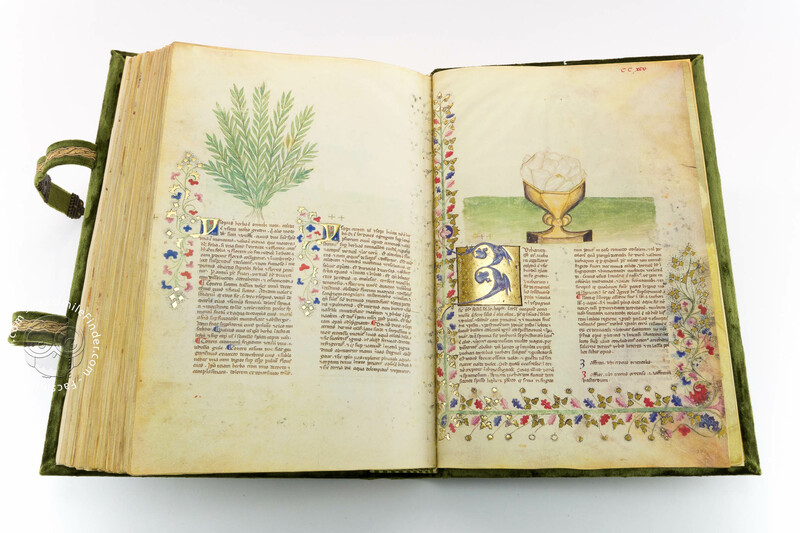 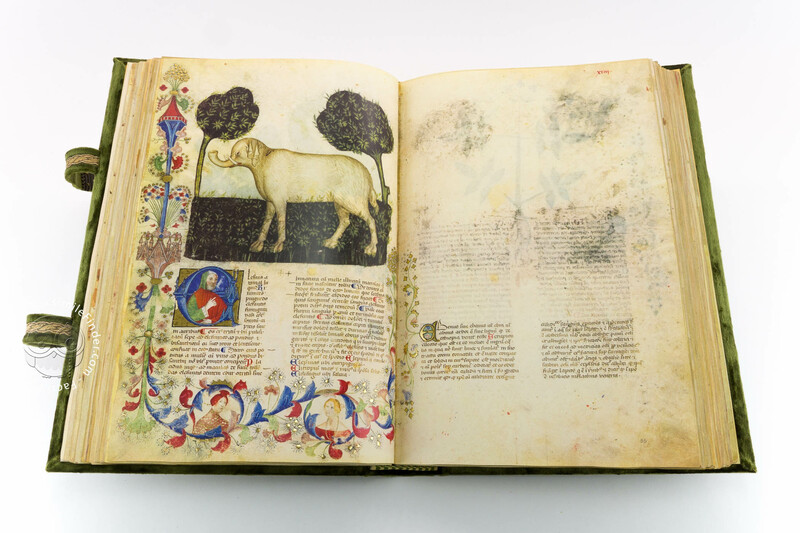 This codex, which can be dated back to the close of the fourteenth century, was produced at the court of Gian Galeazzo Visconti as a gift for Wenceslas IV, the King of Bohemia and Germany. 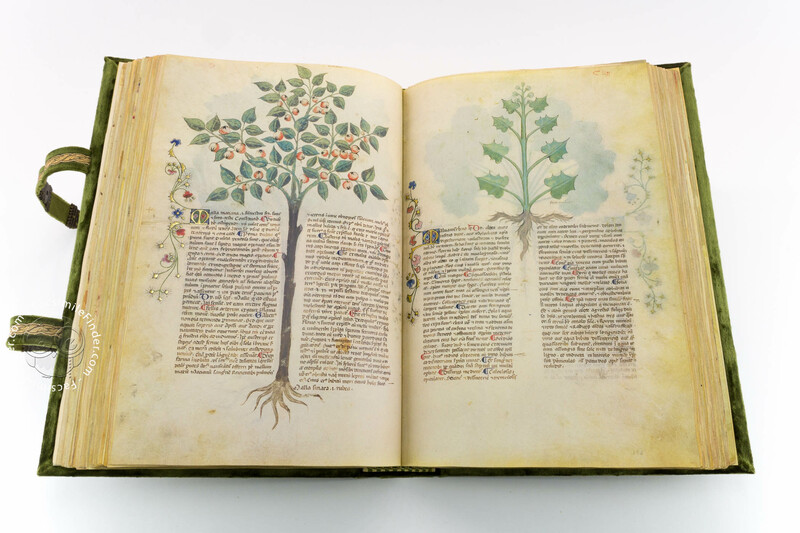 The sections of the 295-leaf manuscript are ordered alphabetically. 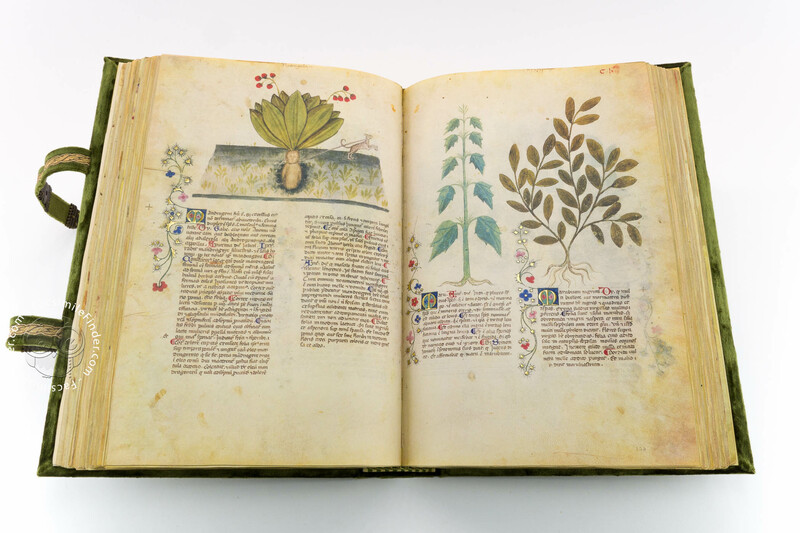 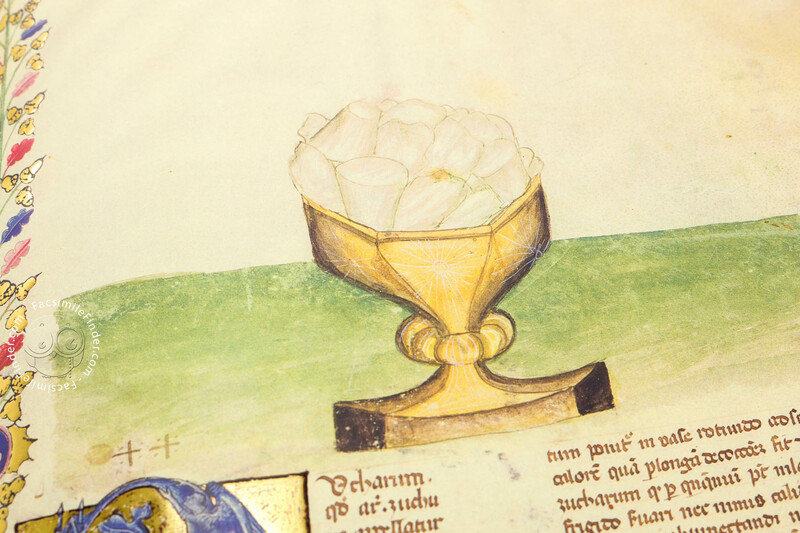 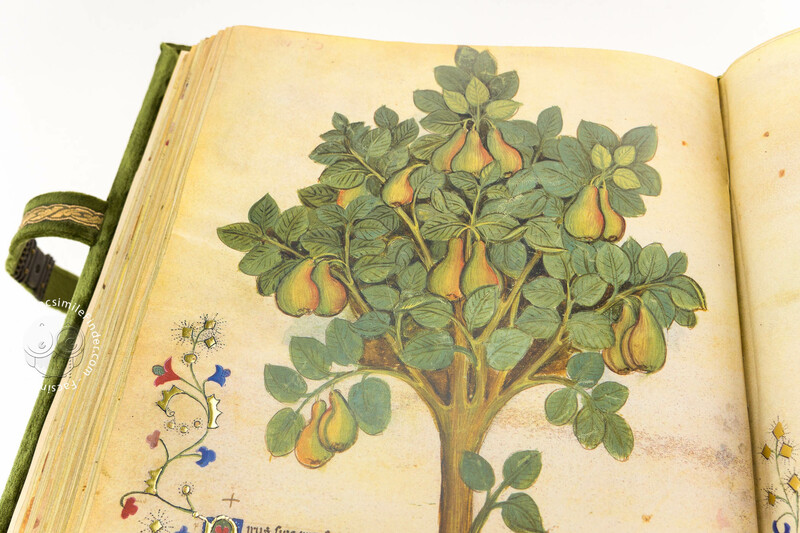 The detailed illustrations of plants (more than 500) eloquently attest to the considerable advances that had been made in the field of botany in Italy by the close of the Middle Ages. 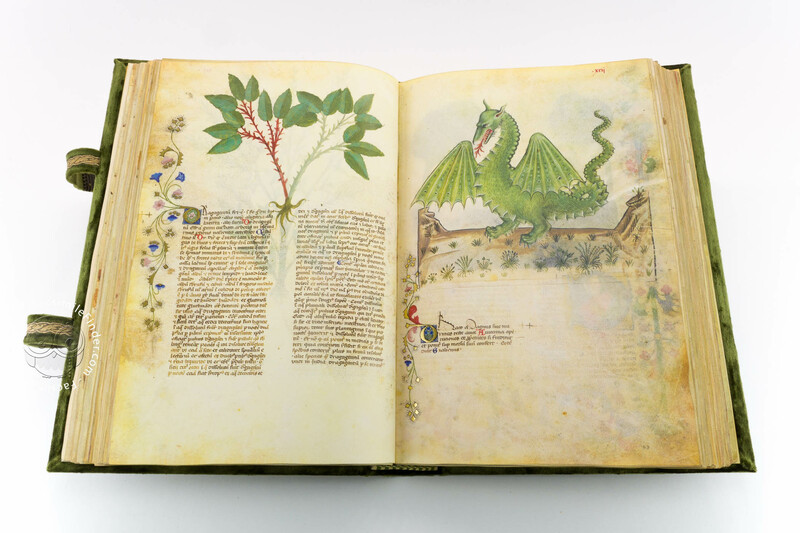 Alongside the botanical illustrations we also find more than 80 illustrations of animals from which curative substances may be extracted, and more than 30 illustrations of substances of mineral origin. 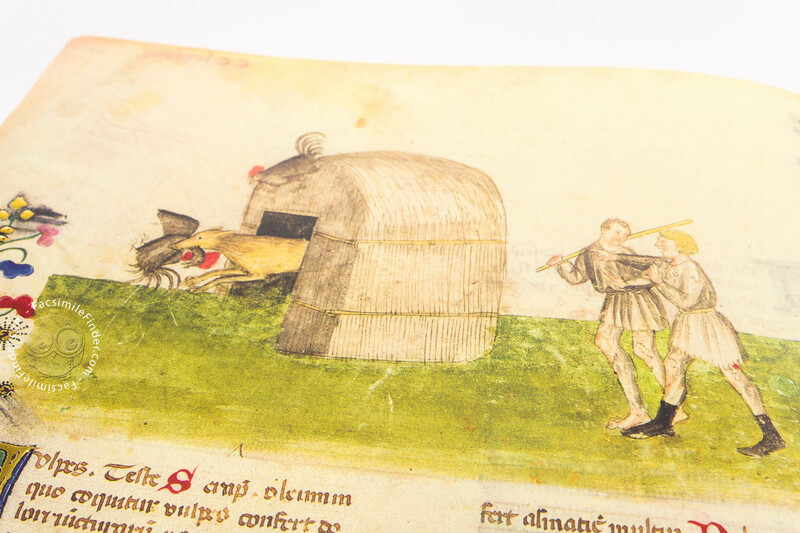 We also find many scenes and figures of people taken from day-to-day life situations. Many of the initials include half-length portraits of physicians and scholars. 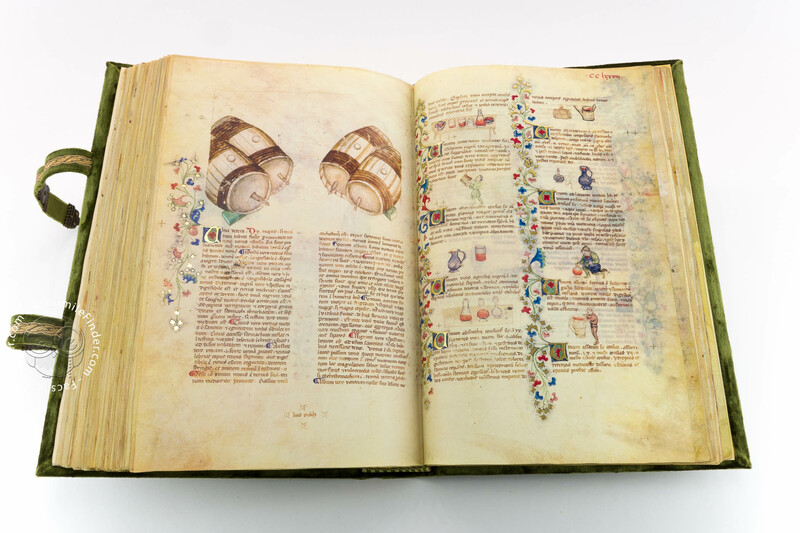 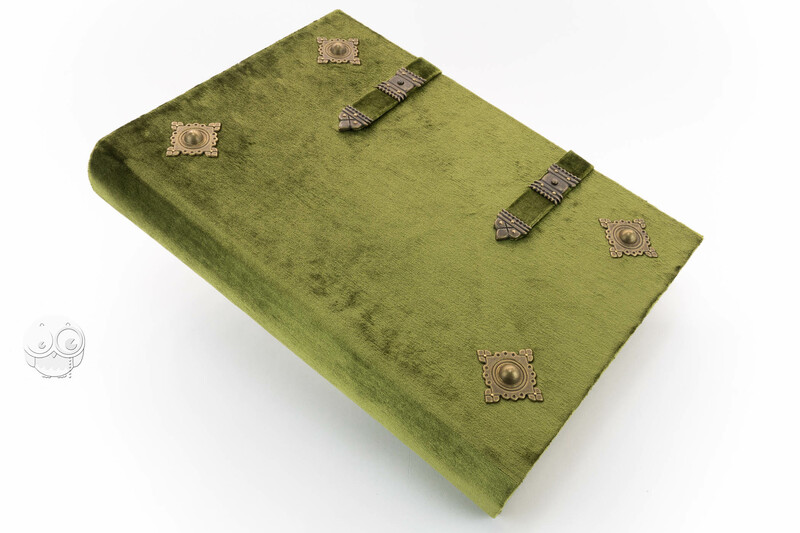 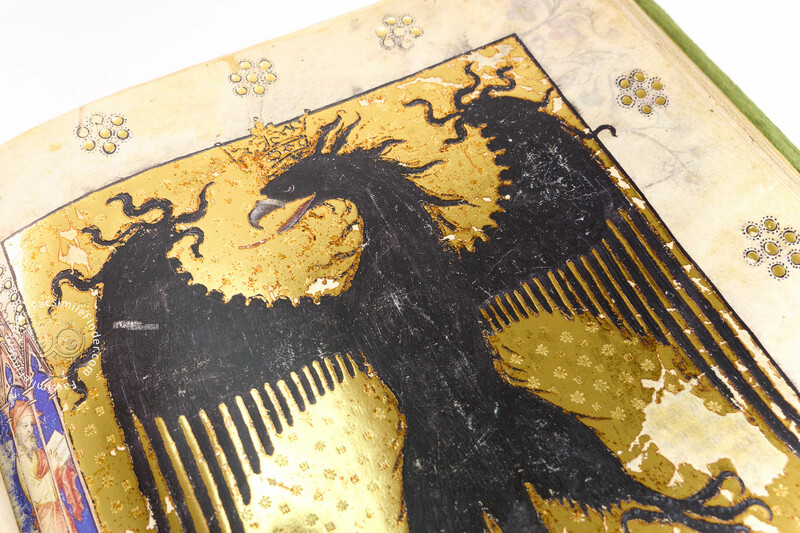 Manuscript book on parchment − 46 × 32 cm − 590 pp. 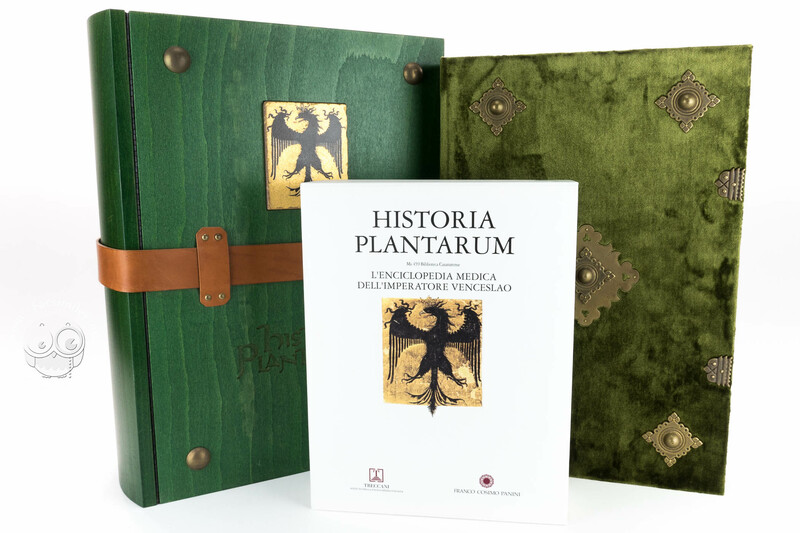 Full-size color reproduction of the entire original document, Historia Plantarum: the facsimile attempts to replicate the look-and-feel and physical features of the original document; pages are trimmed according to the original format; the binding might not be consistent with the current document binding.